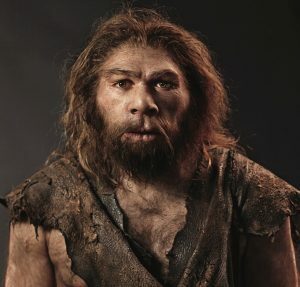 There have been rumors in neanderthal circles that Grog was dissatisfied with his two bedroom one bathroom cave. Grog need natural light to feel fully neanderthal. Grog also want open space. Big kitchen open up into common area where Grog can entertain. Grog like to entertain. Grog also need more bedrooms. More bathroom for mother-in-law. Grog not like mother-in-law. Want her separate as possible. After speaking to a local neanderthal real estate agent Grog was brought out to see three caves. Grog rejected outright the first cave he saw. While it had three bedrooms and two bathrooms and a separate mother-in-law suite it did not have the open concept he was hoping for. “Grog say home tiny” he told the real estate agent. Grog was then shown a second cave which he liked at first but later rejected as being outside his budget range. “Grog not millionaire” he complained. The third cave seemed the most promising as it had the requisite three bedrooms, two baths, separate mother-in-law suite and an open concept. However Grog rejected this cave as well because of the long commute and the sketchy neighborhood. After rejecting all three caves Grog met a local neanderthal designer who told him she could get Grog everything he wanted in his existing cave and within his budget. An excited Grog gave her the go-ahead while he and his family moved temporarily into a Neanderthal Motel 8. However a few weeks into the renovation Grog was informed of a few complications. “Contractor say no can do open concept” he said. Contractor pull Grog aside and say “Stalactites load bearing.” Contractor say stalactites have to stay. Grog not happy with contractor. Grog was also informed that his HVAC was not up to code. Contractor say city want him to replace everything. This run up Grog’s budget. Grog not able to get everything he want. Grog not happy. Grog stuck with mother-in-law. Contractor also say cave have asbestos. Grog pretty sure asbestos hasn’t been invented yet. Eventually the contractor finished refurnishing Grog’s cave but he was not able to get the open concept he wanted nor the separate mother-in-law suite. The installation of the up-to-code HVAC also put the renovation over budget. “Contractors all crooks” said Grog. Without the updates he wanted Grog has asked his mother-in-law to move out to her own cave.